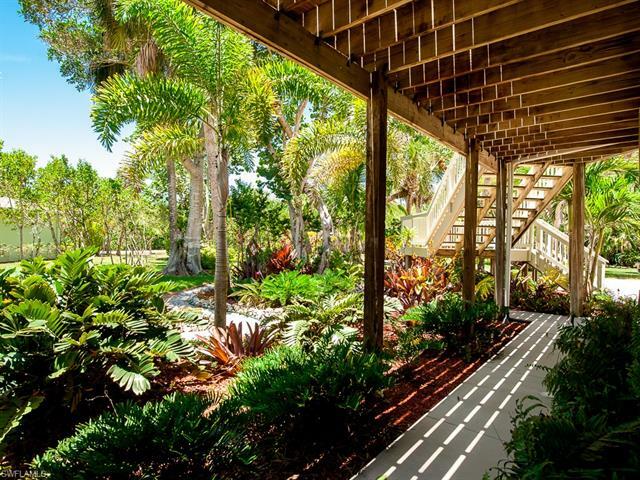 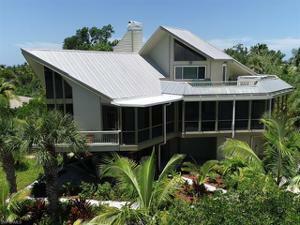 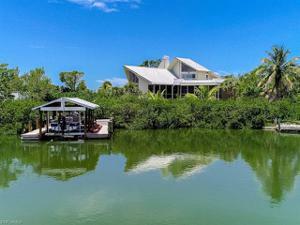 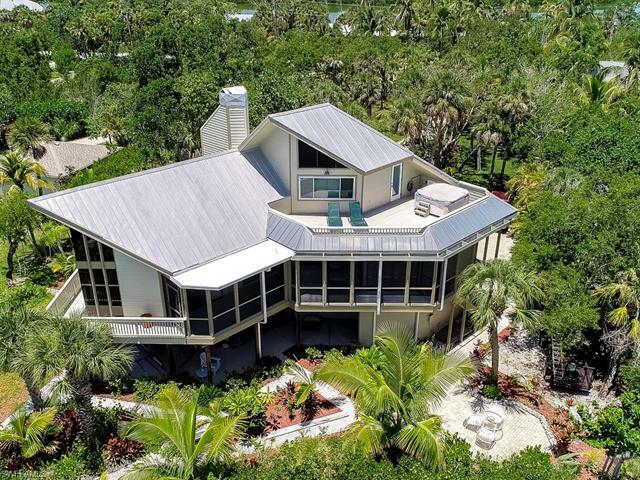 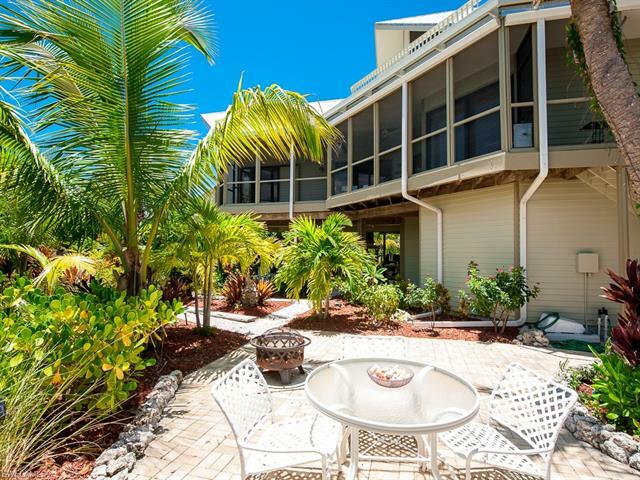 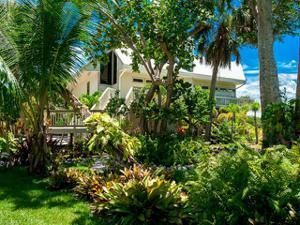 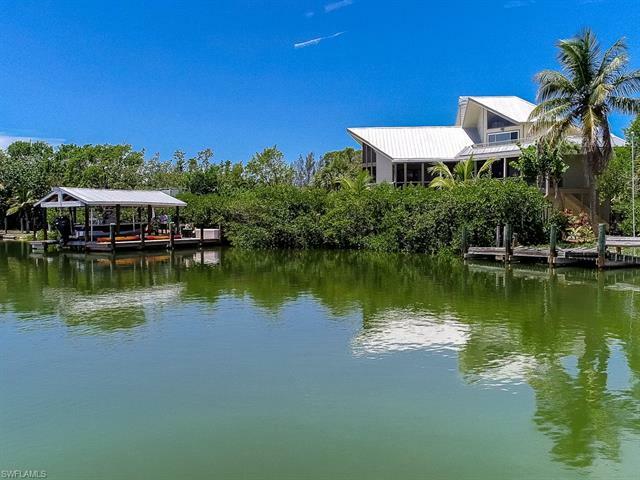 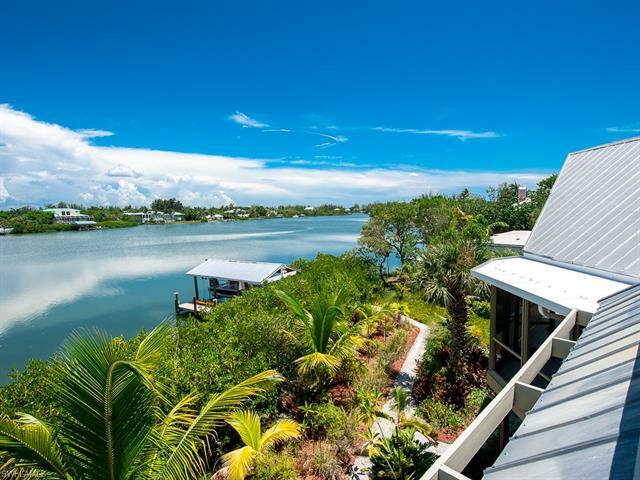 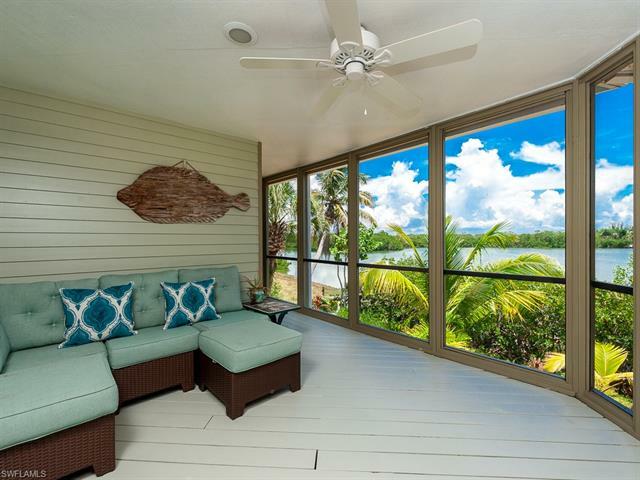 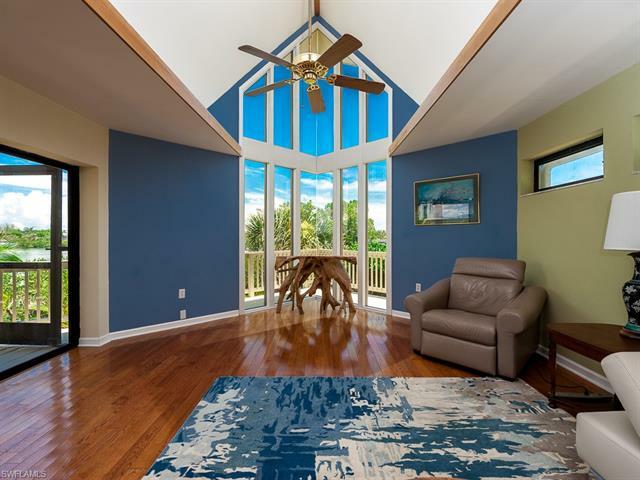 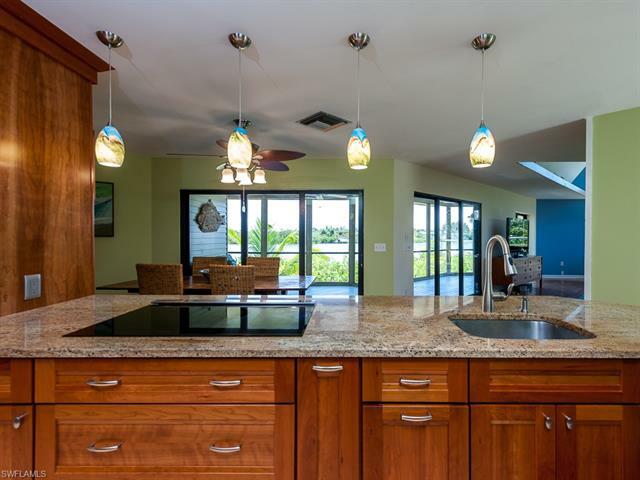 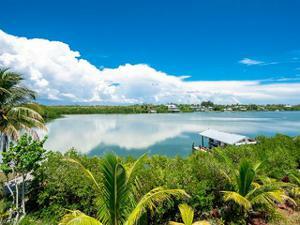 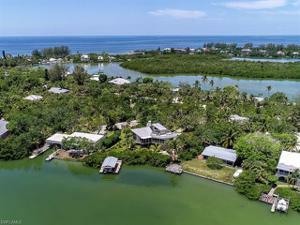 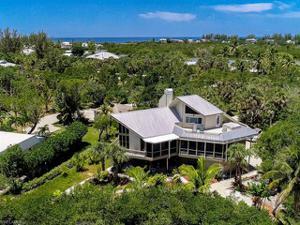 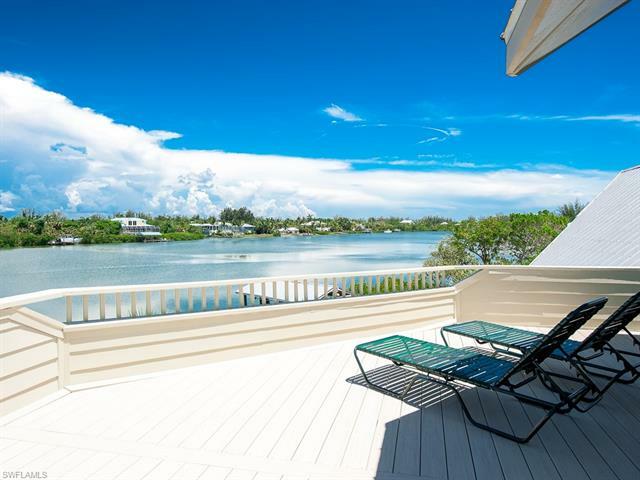 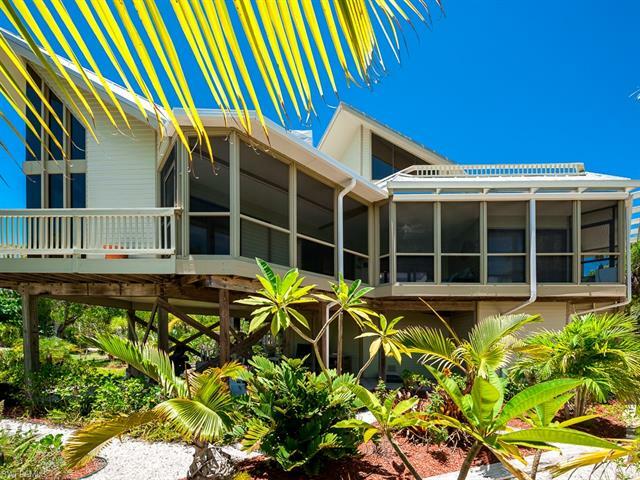 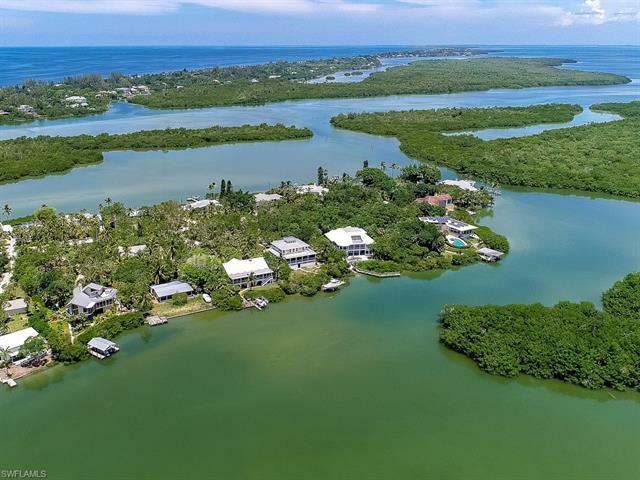 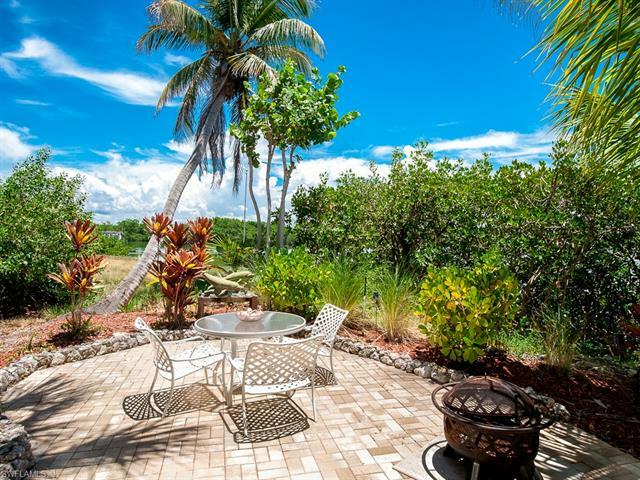 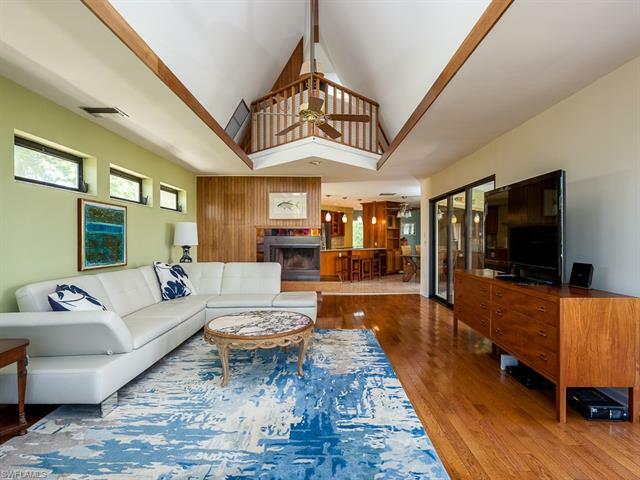 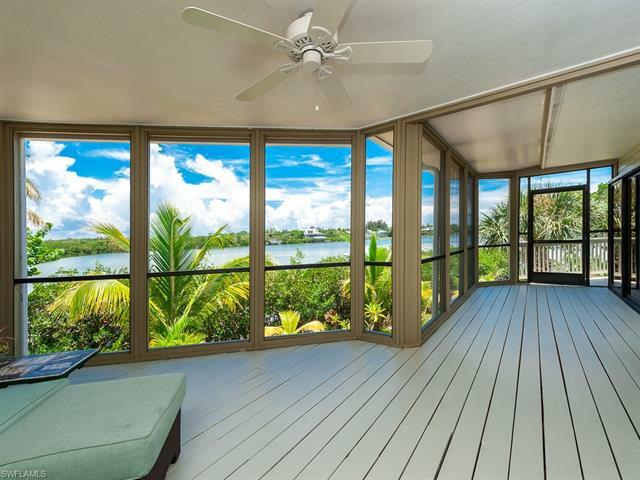 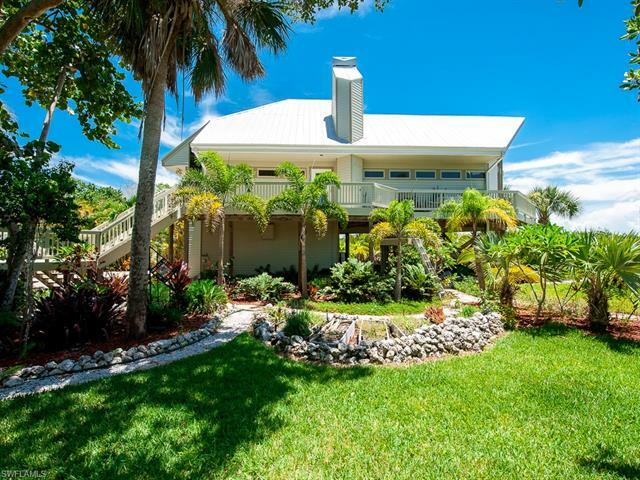 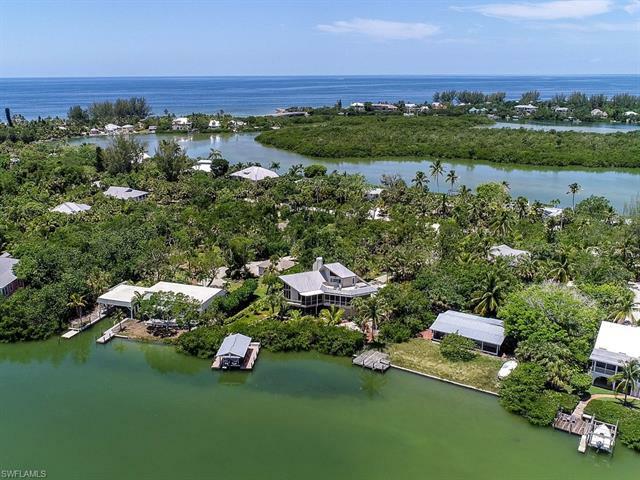 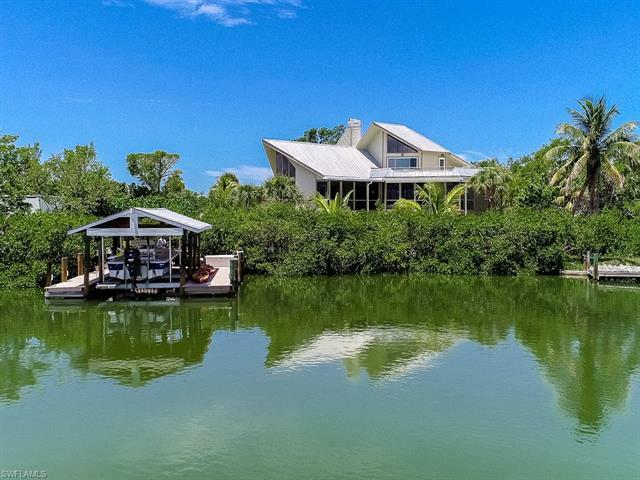 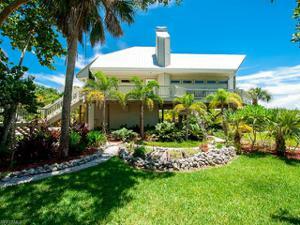 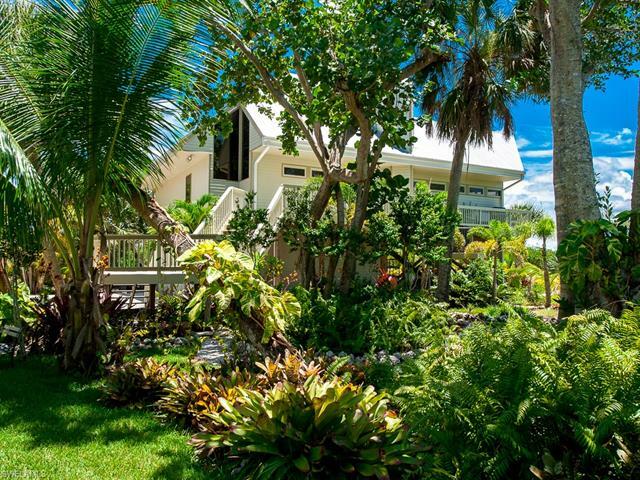 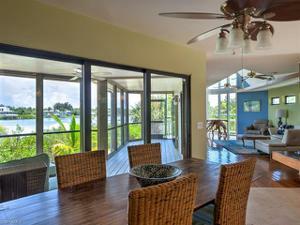 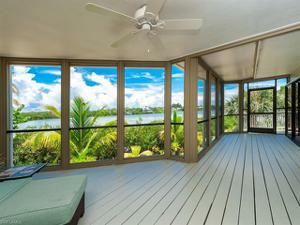 This waterfront property has amazing Gulf access with over 100 FT of frontage on Sanibel’s spectacular Dinkins Bayou. 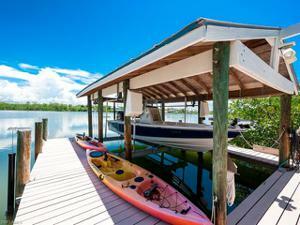 Minutes to the Gulf by boat and just a short walk to the beach! 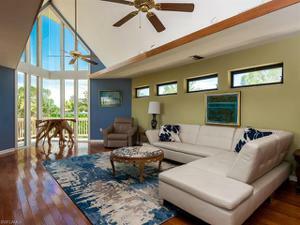 Perfectly positioned at the end of a meandering shell driveway, the home offers gorgeous views of the Bayou. 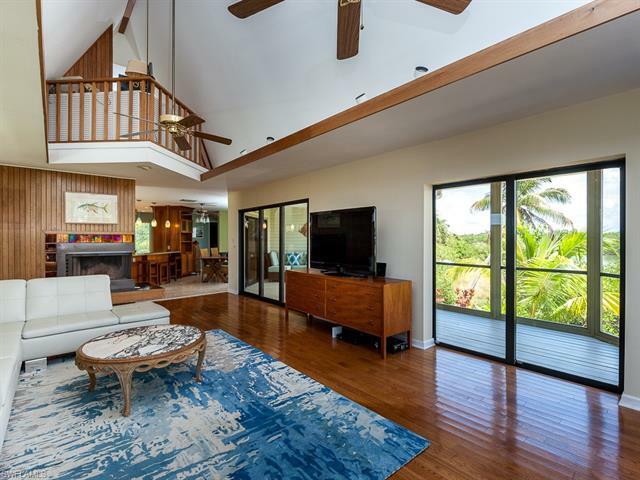 High ceilings and abundant windows provide a bright sunlit interior that is enhanced by tasteful island décor and solid hardwood floors. 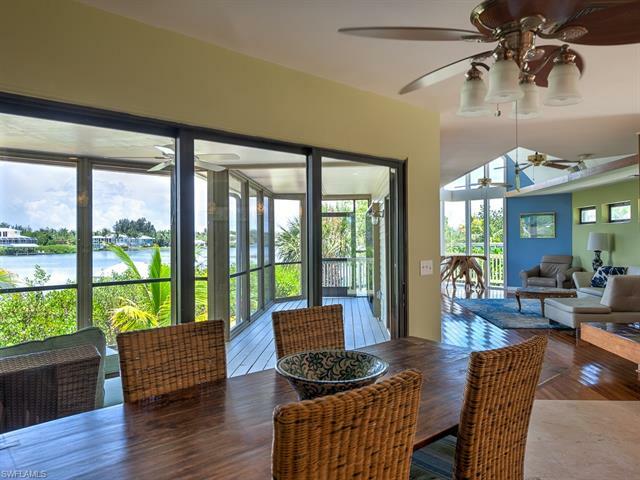 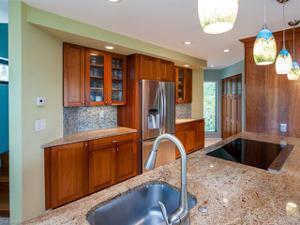 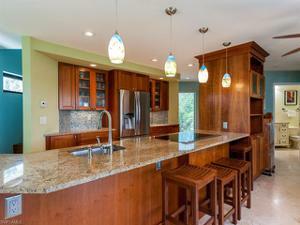 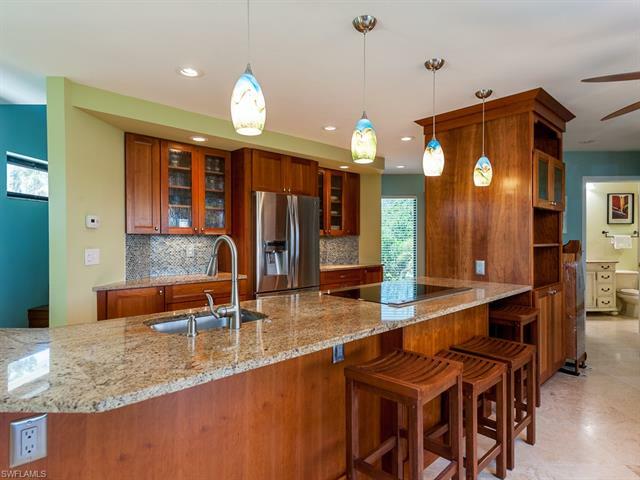 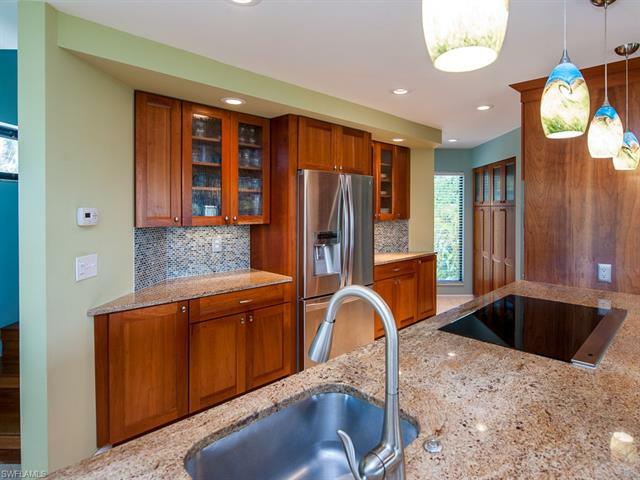 Open to the dining room and overlooking the Bayou, the custom kitchen features soft- close cherry cabinets, stainless steel appliances, granite countertops, and travertine floors. 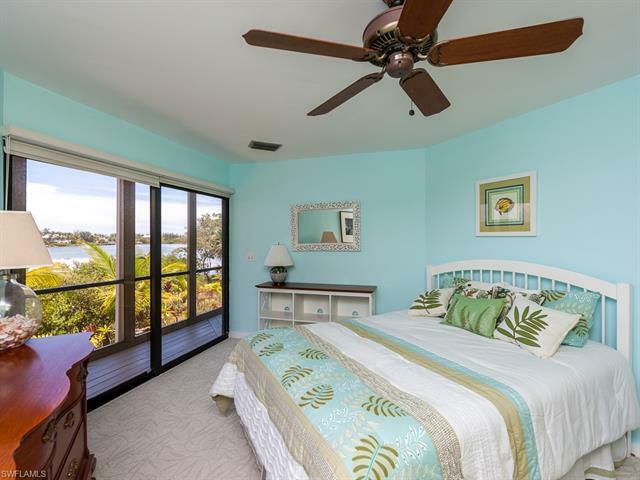 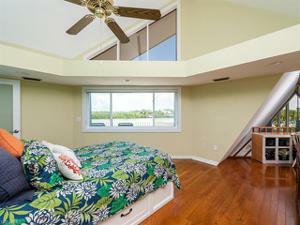 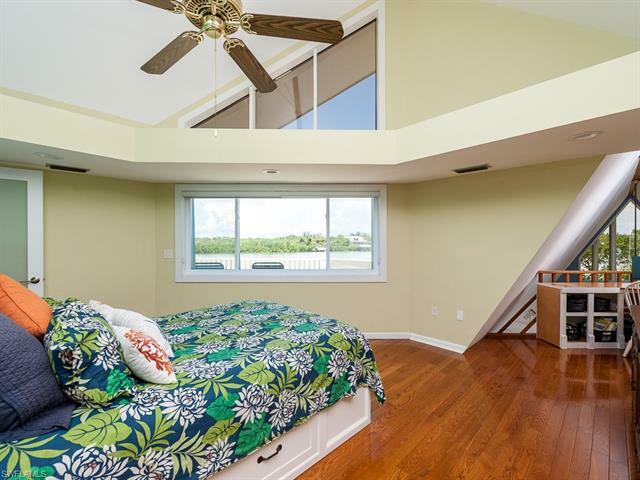 The master suite encompasses the entire top floor of the home with access to the fabulous sun deck. 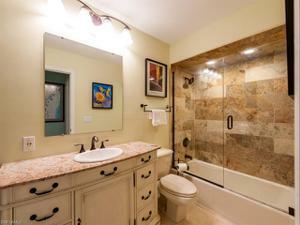 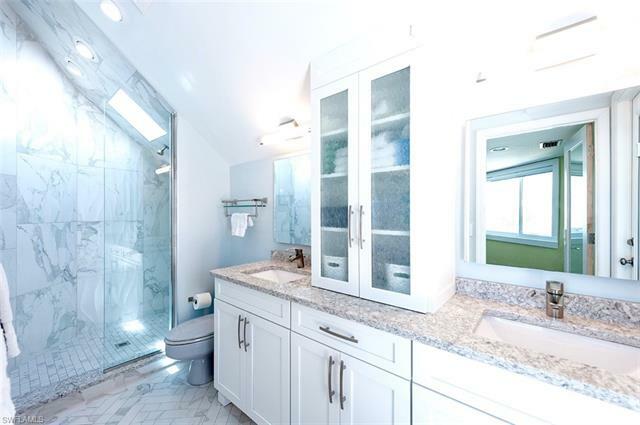 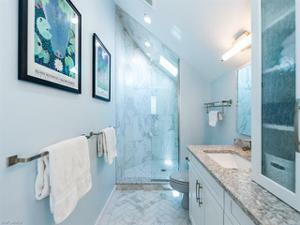 Quartz countertops, double sinks, and a beautiful walk-in shower with a perfectly situated skylight grace the master bathroom. Gorgeous tropical landscaping compliments native plants and provides a unique oasis along one of the island’s most beautiful waterways. 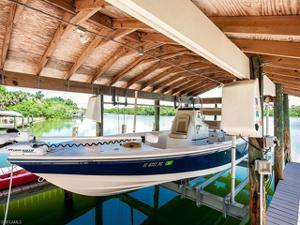 A covered boatlift makes this an ideal home for boaters and anglers. 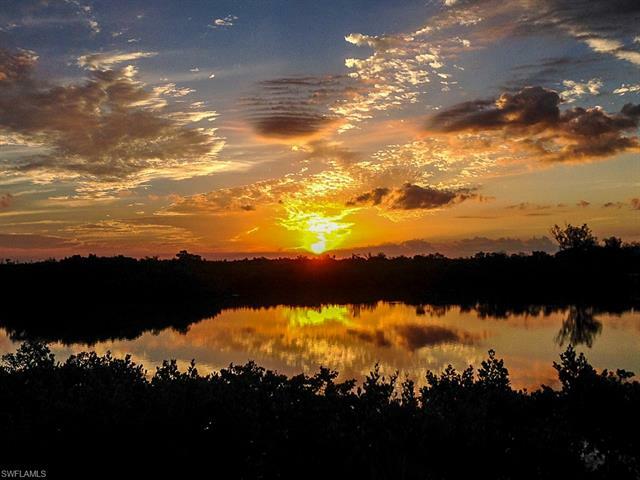 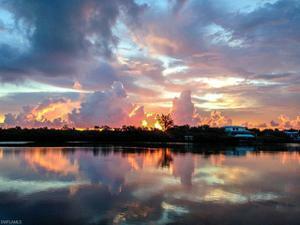 The extraordinary beaches of Sanibel and Captiva are a short walk away. 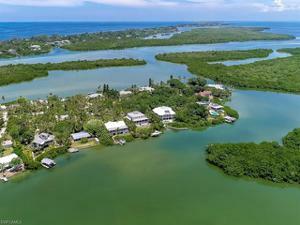 Three restaurants and a general store are just down the road.